5:30 – 7:30 pm. Dinner and childcare provided. Contact Jeanne if you have any questions: jeanne.cross@sscs.ca, 604 815 2177. 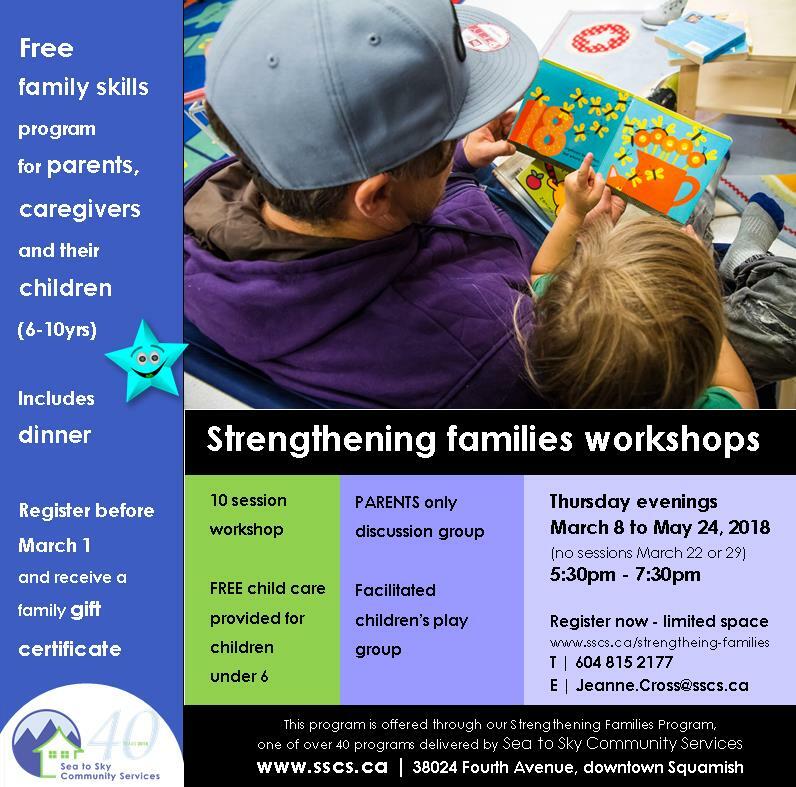 Strengthening Families is a free program that helps to improve family life.